I’m so excited to share with you today how to spend zero dollars styling a brand new look! This is especially important with Valentine’s Day right around the corner, but who wants to spend ton of money on a date night outfit?! Not this girl! 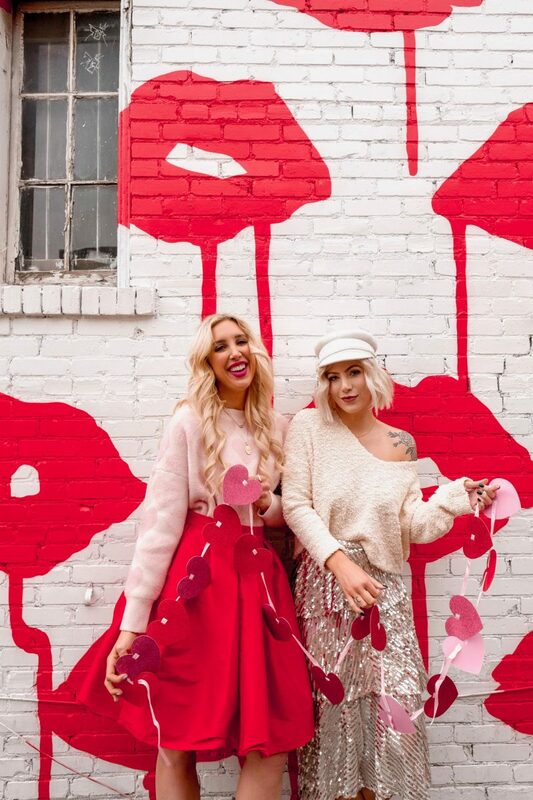 Today I’m sharing how to create an amazing Valentine’s Day look by shopping your own closet. Yes, your own closet! You’re just a few style tips away! When you are shopping your closet, I’m not just talking about your winter selection of clothes. I’m talking everything you own. Why is this style tip important?! The reason is because with a summer dress you can add a jacket or sweater over top and belt it to make the dress a skirt (I totally did this here. Check it out!). Or, maybe you have a romper that would be perfect for Valentine’s Day so all you need is a stylish jacket and a pair of booties to go with! 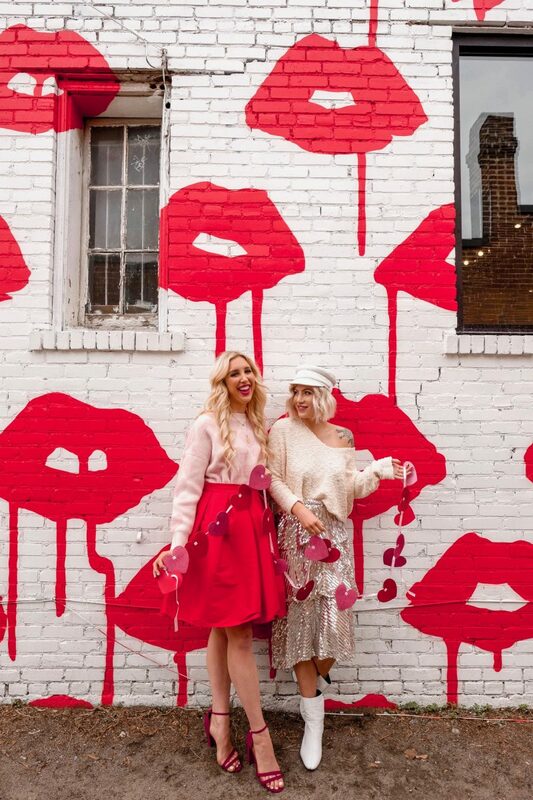 When you take a look at all your clothes, you’ll be amazed to see what seasonal clothes you can mix and match to create a gorgeous Valentine’s Day look! It is a common misconception that you have to wear red and pink on Valentine’s Day, but it’s totally not a requirement! Holidays are an opportunity to rock bold colors and there are no right or wrong answers. Chances are, if you don’t have these colors in your closet already it probably means you don’t particularly care for them- so why pay for something that you might only wear once?! Instead take a look at your closet for a bold color you DO have and create an outfit from that hue! So maybe you aren’t a color girl and gravitate toward more subtle hues. If this is you take a look at all the fabrics in your closet. Do you have anything in lace, chiffon, or tulle?! These are considered feminine fabrics and embody the vibe of Valentine’s Day. Choose a a piece or two to start creating a soft and romantic Valentine’s Day inspired look! You can completely skip this step if feminine looks aren’t your thangggg. If you have a dress or outfit already picked out that is perfect for Valentine’s Day but are totally sick of wearing that look this step is for you! Accessorizing can COMPLETELY change the overall look of an outfit. I usually fall into this category. – Pair an edgy pair of boots with a feminine dress for a totally different, and unexpected look! – Pull out that bauble necklace you haven’t worn in forever and pair it with your outfit (or layer two together!). – Layer dainty jewellery for a chic, but classy look. The possibilities are endless, but you get where I am going with this! Would you use these tips to create a Valentine’s Day look?! I would love to talk with you in the comments below! This post was written by Julianna Christensen. TrendFriend sends outfit inspiration to busy women. Select days like Workwear Wednesdays or Brunchy Sundays and we’ll take care of the rest.